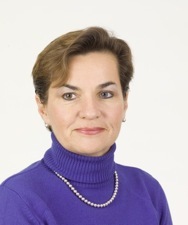 We’re happy that our colleague and supporter Christiana Figueres of Costa Rica is the new UN Climate Chief! Read the press release here. Back in 2007, Christiana saw a demo of C-ROADS, recognized its potential, and, via her network and by hosting some C-ROADS demos, introduced the model to many of the leaders who have made the simulation an important part of the negotiation process.